The graph presents the results for the 458 ACOs that participated in CMS’s three ACO programs – the Medicare Shared Savings Program (MSSP, which began in 2012), the Pioneer program (which began in 2012 and ended in 2016), and the NextGen program (which started in 2016). You’ll see that 410 of the ACOs, or 90 percent, were in “track one” of the MSSP, which means they were willing to accept only upside risk (the chance to make money if they came in under a target level of spending). We see as well that all three programs roughly broke even (again that’s not counting the cost of the interventions ACOs deploy in their attempt to cut costs). The graph’s most discouraging news, from the point of view of ACO advocates, is the underwhelming performance of the eight diehard ACOs that remained in the Pioneer program in 2016. The graph indicates those ACOs cut Medicare’s costs by a mere seven-tenths of one percent in 2016, the fifth and last year of the program. 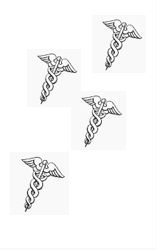 Like the ten ACOs that participated in the Physician Group Practice demo, those eight ACOs were the crème de la crème – the entities most likely to succeed at the ACO game. They were the crème de la crème of the cohort of 32 ACOs that CMS selected to enter the Pioneer program in 2012, and those 32 ACOs were in turn the crème de la crème of all ACO candidates in 2011 when CMS accepted applications for the Pioneer program. Because ACOs in the Pioneer program would have to accept both up- and downside risk, CMS was very selective in choosing the original 32 Pioneer ACOs. As the Advisory Board put it in an article published just before the Pioneer program began, “The 32 Pioneers underwent a rigorous evaluation – including a comprehensive review of applications and in-person interviews….” And yet by 2016 only eight of these rigorously evaluated ACOs remained. The dropouts were those who lost money or expected to lose money. Thus, if we were to take an “intent to treat” approach in evaluating the Pioneer program and asked how well all 32 performed, the result would probably be worse than the 0.7 percent savings achieved by the eight diehard ACOs that participated for all five years. Why did we need ACOs in addition to insurance companies? ACO proponents never indicated that they had given a moment’s thought to that question. They never came right out and said, “Managed care plans have had their day in the sun, they haven’t worked, and now we need to replace them with a new entity we’re calling the ‘accountable care organization,’ and here’s why.” They just demanded that Congress authorize CMS to set up an ACO program in Medicare alongside the Medicare Advantage program, and that private-sector payers create a private-sector ACO industry alongside the insurance industry. The first claim – that doctors are running ACOs, not HMOs – is laughable. HMOs and other insurers are setting up their own ACOs, and even the ACOs that were not established by insurers have very little physician involvement in management. The claim that ACOs do not limit choice of provider is, strictly speaking, true at this moment, but that is changing because ACOs are not happy with the enormous “leakage” they suffer because they can’t force their “attributees” to stay in network. Finally, the argument that information technology improves quality of care is an exaggeration of IT’s impact on quality, and in any event, the insurance industry has as much access to IT as ACOs do. But even if these false distinctions between ACOs and HMOs were true, they wouldn’t tell us what it is ACOs do that HMOs don’t do. So what if doctors really are running ACOs? So what if ACOs have yet to force patients to stay within ACO networks? What does that tell us about what ACO doctors are doing that doctors micromanaged by the insurance industry are not doing? The failure of ACO proponents to answer the question, Why do we need both ACOs and insurance companies, is creating problems for Medicare which now has to administer three separate programs – the traditional fee-for-service program, the new ACO program, and the Medicare Advantage (MA) program. Life for CMS, and for MedPAC (which has to advise CMS and Congress), was difficult enough when CMS had to administer just the FFS and MA programs. It has become infinitely more difficult with the insertion of the ACO program in 2012 and the enactment of MACRA in 2015. The complexity of today’s Medicare program has driven up CMS’s administrative costs, and has forced MedPAC into long discussions about how to ensure that all three programs are paid fairly. The same problem now afflicts state Medicaid programs that were forced by their legislatures to balkanize into the same three sectors – a FFS sector, a privatized Medicare-Advantage-like sector, and an ACO sector. In my next post, I will discuss the attempts MedPAC and Minnesota’s Medicaid program have made over the last few years to apply more uniform payment rules to their ACO and managed-care-plan programs. MedPAC and Minnesota’s Department of Human Services (DHS), which runs the Minnesota Medicaid program, apparently want to answer the question ACO proponents never bothered to ask: Are ACOs more efficient than insurance companies? MedPAC seems to want to answer that question by forcing all three Medicare sectors to compete on a level playing field to see which ones are driven to extinction by the others. Minnesota’s DHS seems to want to answer that question by forcing its ACO and MA-like sectors to compete on a level playing field. I use the word “seems” because MedPAC and DHS can’t bring themselves to come right out and say they expect ACOs to beat the insurance industry or vice versa. But they are willing to say they want to create competition between the two types of entities under uniform payment rules. As we shall see, MedPAC’s attempts to create a level playing have failed, and DHS’s attempt appears to be well on its way to failing. Our knowledge about Medicare ACOs is very limited, but at least we know how many of them there are. We don’t even know the number of entities that call themselves ACOs that contract with private-sector payers (insurance companies and self-insured employers). The estimates are all over the map. A directory of ACOs claims to list 800 of them. Elliott Fisher, who invented the ACO label in 2006 with MedPAC, alleges there are 1,000 . Here’s an excerpt from the Emanuel-Liebman op-ed in which they sought to persuade readers that ACOs are not your father’s HMOs. “ACOs are not simply a return to the health maintenance organizations of the 1990s. Although in both models patients are members of a provider network with a specific group of doctors and hospitals, and both are paid primarily per member rather than per procedure or test, there are big differences between them. HMOs were often large national corporations far removed from their members. In contrast, ACOs will consist of local health care providers working as a team to take care of patients who are likely to be members for years at a time. HMOs often cut costs not by keeping people healthy but by denying patients services and by forcing doctors and hospitals to take lower payments. In the 1990s, we lacked the information technology and proven models of integrated care delivery that we have now. These advances will allow ACOs to simultaneously improve health outcomes and reduce costs. Claudia Schur and Janet Sutton report that only a tiny fraction of all doctors in Medicare ACOs play leadership roles, and up to half are unaware of who their ACO patients are or whether they are eligible for shared savings. Great article such a useful information included in this amazing article love to see this kind of article again I have also a blog related to health please check it once and tell me what errors i did. The innovation crabgrass continues to spread with increased costs of delivery and increased confusion only exceeded by increased claims of success. Kip, a warm blanket, every article….love them. I use them every chance I can against the “value based” blowhards, etc. Obviously MedPAC and even CMS/ONC is finally starting to hear that they have devastated the field…but even MedPAC is grasping at straws and rudderless at this point. You see the cruel reality of ACOs MU MIPS MACRA, but what is the way out? Several of the tax reduction elements of the recent tax reform legislation will run out in a few years. I can’t help but anticipate a recession would follow as a result of decreased domestic spending. The real problems underlying our nation’s health spending might well be replaced by a new strategy for controlling our nation’s health spending. Its not likely to be to our liking! Its time to recognize that the gravy train will soon huff and puff to a lurching stop. Thankfully, I will be long dead before that happens. Can someone explain to me why it is that folks like yourselves who write blogs can plainly see what policy makers can’t or won’t see?